There are plenty of gadgets nowadays that will make life in the kitchen a whole lot easier. For preparing food, cleaning your countertop, washing dishes and other daily chores you don’t have to get by with the tools and products people have been using for decades. You can do things way more efficient in your kitchen if you would just know the existence of some products. Just browse through our selection of the best kitchen gadgets below and you’ll be the king of the kitchen in no time. When you need to prepare some deviled eggs for a party the most annoying thing is peeling the hard-boiled eggs after you cook them. The Negg is a kitchen gadget (invented by a grandma) that will make peeling eggs the easiest thing ever. Just put an egg in the Negg, add some water and shake it. The shell will come off like skin of a slow-cooked piece of meat. It’s so satisfying that I wouldn’t mind peeling dozens of eggs in one sitting! Just get a set of Supoons and you can throw away a lot of redundant utensils that you’re now using to do any of the above tasks. There’s few things I hate more than preparing many sandwiches with butter using a regular bread knife. I often tear up the bread or otherwise take a very long time to get butter evenly spread. The Offundo Butter Spreader is a great kitchen gadget when you’re buttering a loaf of bread a day. It can’t get more simple than just putting a block of butter in it and then butter a slice of bread with a single hand motion. I love me some guac, but the stuff expires while you’re looking at it. Forget about putting it into the fridge to eat some nachos tomorrow. So often I’ll buy some fresh guacamole from the super market and toss it away the same day. 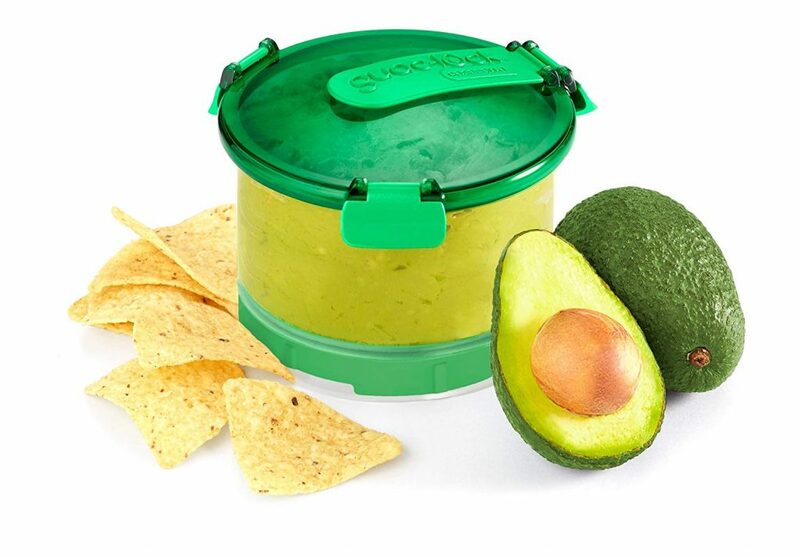 The Guac-Lock is a heaven sent gadget that allows you to preserve your freshly made guacamole and store it in the fridge without the stuff going brown in a few hours. How come I’m always the lucky one that needs to replace the trash bag with a new one? It’s like we’re having a game at home to see who can best push down the trash so you just don’t have to replace the bag. Sounds familiar? 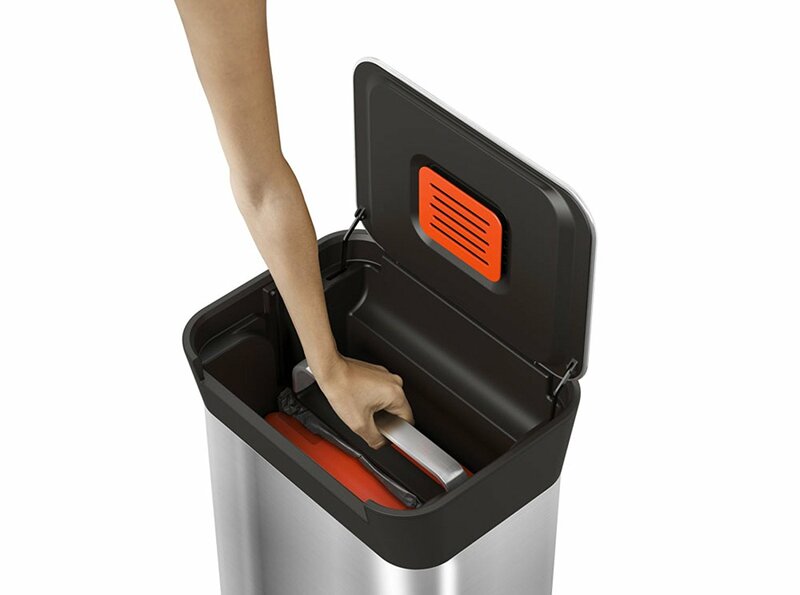 This smart trash can by Joseph Joseph has a built-in compactor so you don’t have to use your hands, a paper towel or your foot (if you’re a crazy person) to push down the trash to make space for more. Watch out as your trash bags will get heavy using this Joseph Joseph trash can! If you’re as addicted to peanut butter as I am this peanut butter pump is a must-have kitchen gadget. You just screw this special lid on your regular sized peanut butter jar and you can get pumping. This is a perfect, mess-free way of putting peanut butter on your sandwiches or in your recipes. The added benefit of this pump is that the jar will be scraped entirely clean, so not a single drop of peanut butter goes wasted. Let’s face it. Not everyone has a large kitchen, or the luxury of having an automatic dishwasher. If you’re used to cleaning dishes by hand getting help from some gadgets is more than welcome. 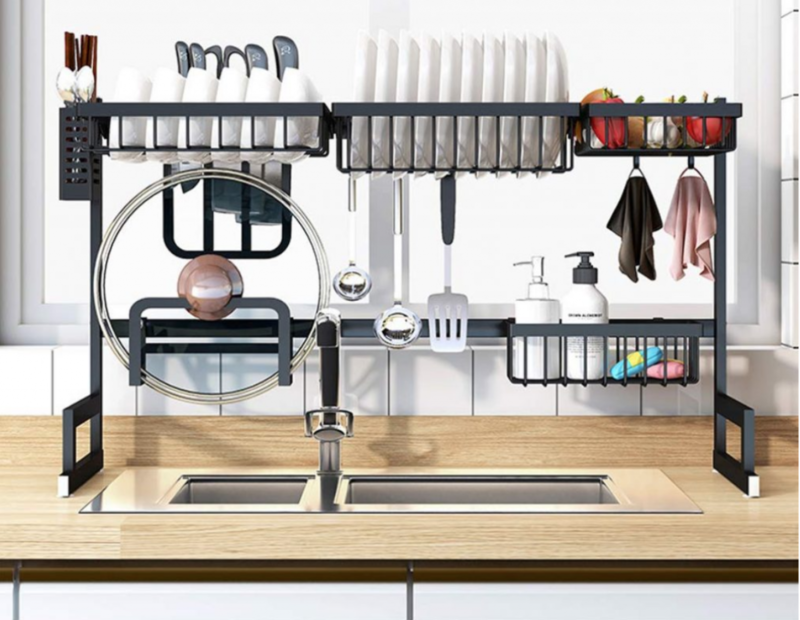 This over-the-sink dish rack is a perfect combination of kitchen shelf and a dish drainer. You can just wash your plates, put them in this rack to dry and then take them out when you need them again. Since this rack is assembled above your sink it leaves your countertop dry and free of mess. Pretty great invention! What, you need more help with dishwashing? For cleaning plates and bowls, there’s a great gadget that will do all the heavy scrubbing for you. This is a robotic arm that spins your dirty dishes around while cleaning them. 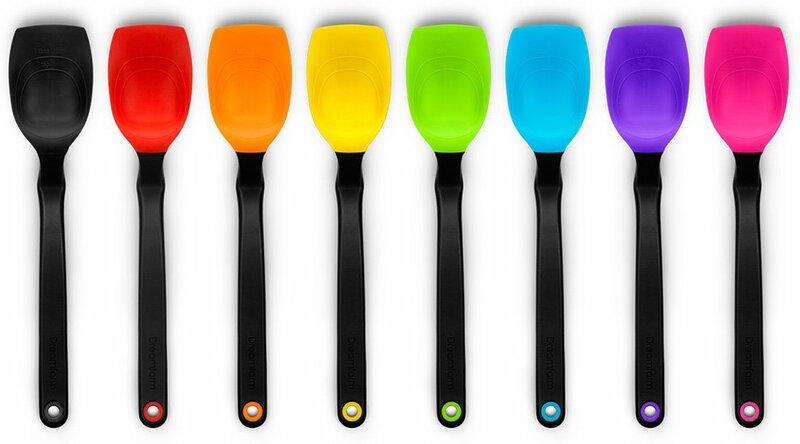 The only thing you’ll need to do is attach the brush to your bowl or plate (it’s compatible with a lot of different shapes and sizes with its adjustable arms), press a button and hold it. This is a great kitchen gadget gift for that friend that doesn’t have the money or space for a dishwasher. Where I used to dread the moment the water didn’t run away in the sink, nowadays I can’t wait until my kitchen sink pipes get clogged again. It means I can get to use my Mr. Pung kitchen plunger. This oddly shaped plunger takes a CO2 cartridge and blasts your pipe straight clean with the touch of a button. The kitchen version of the Mr. Pung plunger is portable and an essential gadget that sits locked and loaded inside your kitchen cabinet. MR PUNG forms an air-tight seal around the pipe before a single blast of compressed air instantly dislodges and clears the blockage. MR PUNG will clear even the most stubborn blockages standard plungers or rods cannot shift. This dicer is for when you don’t trust yourself with a regular chef’s knife, but you also don’t have the space or money for an automatic vegetable slicer / kitchen machine to do it for you. This is a pull-string food slicer. The handy kitchen gadget takes some vegetables and fruit. You close the lid and pull on a string a few times. Voila, some nicely diced food, that’s ready to go into any recipe that you’re preparing. The price is also very friendly on the wallet, so there’s no reason why shouldn’t have a few of these dicers in your kitchen. This concludes the round up of our best kitchen gadgets of 2019 for now. 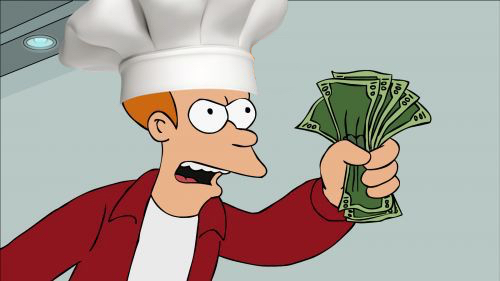 Make sure to keep this post bookmarked, because we will be adding more cool kitchen products whenever we find them!